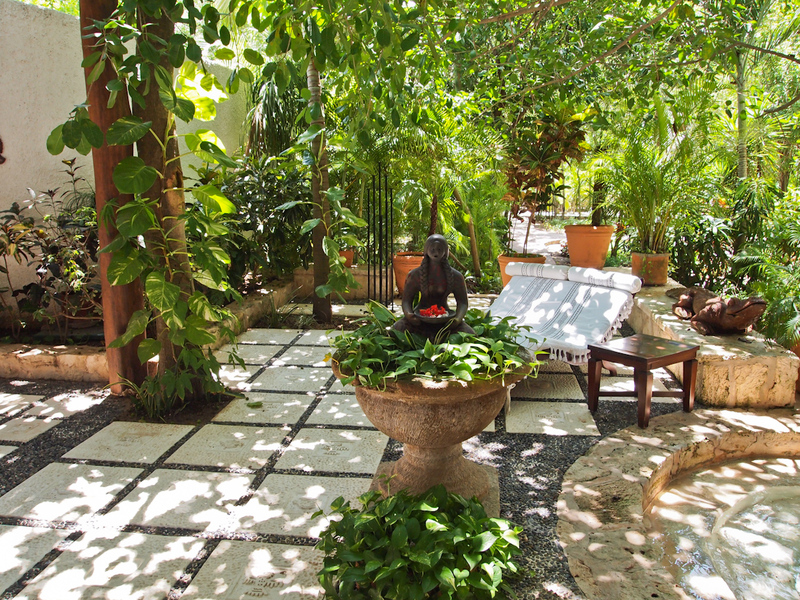 An open air layout of paths meanders through mangroves and sculpture fountains with cascading waterfalls over fifteen feet high. 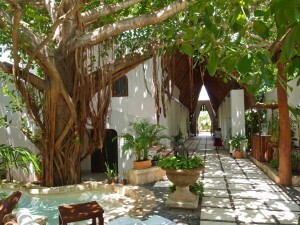 Ahead, the Spa’s main building is enclosed ever so lightly with cathedral ceilings forming an A frame thatched roof almost four stories tall, somehow maintaining the feeling that you’re still outdoors and offering an airy atmosphere. Boasting literally dozens of awards from such recognized authorities as Conde Nast, Travel+Leisure, Forbes Traveler, and Zagat, Kinan Spa at Maroma by Orient Express has garnered well deserved worldwide fame for the care and attention to its clients. 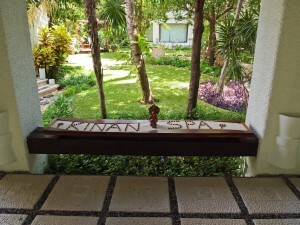 Since Kinan Spa is open to all hotel guests, even those without treatments, you should visit for the amenities if you’re staying at the resort. When you do, make sure to try the cool plunge pools offered alongside traditional steam and sauna in separated men’s and women’s sections. Though by no means a large spa based on square footage, Kinan manages to strike a balance and feature all the amenities of larger spas while maintaining an intimate and exclusive retreat ambiance. Small touches create an authentic Mayan themed spa, such as the exquisitely comfortable cotton caftans instead of robes. Freshly brewed teas, fruit and citrus water are readily available both in the main building and the men’s and women’s areas. 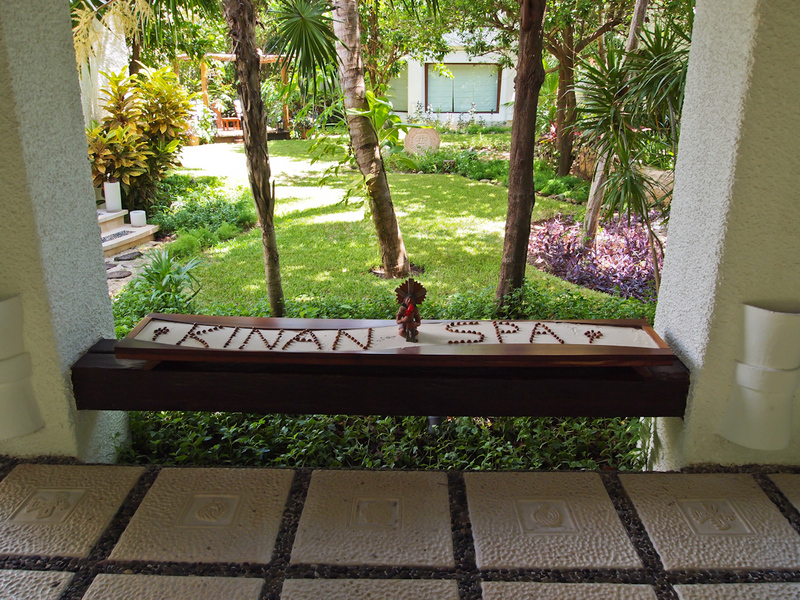 While Kinan also offers traditional treatments, exotic massages such as Thai, Reiki, Lomi Lomi, and reflexology raise the bar of available services. Before beginning any treatment, appointments begin with a foot washing and massage ritual for a few minutes. This simple pleasure does wonders to set the tone for relaxation, rejuvenation, and revitalization. The spa’s signature treatment is the Kinan Ritual, a truly unique superlative experience. Two therapists work in synchronous harmony, first applying a body treatment, then a massage. Steaming hot towels are prepared with special herbal infusions that wrap and cocoon your clients. The steam and herbs open the pores and pull toxins from the body. During the entire process, a delicate and refined attention to detail ensures clients are not overheated, as therapists offer and apply cold towels to the face and head to help cool off while still steaming the skin. After the herbal cocoon, the treatment continues with a honey and salt body scrub to exfoliate and renew the skin. A quick shower in the private treatment cabana is followed by a special tea rinse that a therapist will pour over the body. 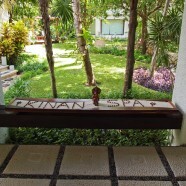 The two hour Kinan Ritual culminates in a four hand massage that works away every ache and pain. Treatments end with the resort’s signature herbal drink: Chaya, a mild Mayan plant similar to spinach, mixed with pineapple or other juices. It’s no surprise, then, that my experiences were without question some of the most rewarding spa treatments in years. It’s not just the treatments themselves, which are wonderfully inventive and incorporate Maya themes and global techniques. It was also my skilled therapist, who, with over forty years of experience was genuinely concerned with my well being and care. • IGLTA member Maroma offers special His & His and Hers & Hers packages for glbt couples. Tell your travel agent to use ‘SUITEGL’ to obtain special rates and amenities. A portion of this review’s underlying trip was hosted by Orient Express. My opinions, however, are my own, and I was not paid to express any bias for or against this product or destination. This article was published on GTH | Gay Travel HeraldNovember 19th 2012.